“This work is dedicated to my late father. 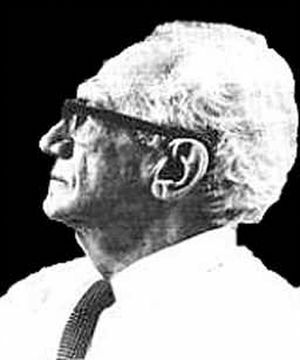 I want to say in a few sentences who Simon Yehiel Velikovsky was. “From the day when, at the age of thirteen, he left the home of his parents and went on foot to one of the old centers of talmudic learning in Russia, to the day when, in December 1937, at the age of seventy-eight, he ended his years in the land of Israel, he devoted his life, his fortune, his peace of mind, all that he had, to the realization of what was once an idea, the renaissance of the Jewish people in its ancient land. He contributed to the revival of the language of the Bible and the development of modern Hebrew by publishing (with Dr. I. Klausner as editor) collective works on Hebrew philology, and to the revival of Jewish scientific thought by publishing, through his foundation, Scripta Universitatis, to which scientists of many countries contributed and thus laid the groundwork for the Hebrew University at Jerusalem. He was first to redeem the land in Negeb, the home of the patriarchs, and he organized a co-operative settlement there which he called Ruhama; today it is the largest agricultural development in northern Negeb. I do not know whom I have to thank for intellectual preparedness for this reconstruction of ancient history if not my late father, Simon.”Immanuel Velikovsky, Ages in Chaos (1952) “Dedication”. Publ. Doubleday. 2. ↑ Immanuel Velikovsky, Ages in Chaos (1952) “Dedication”. Publ. Doubleday.